Darshan Ramdhani who has served as an acting judge in the region and as a former Solicitor General of Grenada was on Tuesday, 8 January 2019 sworn in as Grenada’s new Attorney General. He is the third person to be appointed to the post since the ruling New National Party (NNP) won the February 2013 General Election. The first was Cajeton Hood who at the end of his contract opted to return to private practice. The second was Dr Lawrence Joseph whose contract ended on 31 December 2018 but who had been on vacation since November. While on vacation, Minister for Legal Affairs Kindra Maturine-Stewart acted in the post, until Ramdhani took his oath of office. 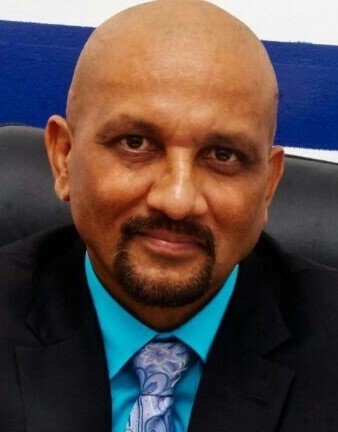 A Guyanese national, Ramdhani, on the invitation of the OECS Supreme Court, served as a High Court Judge on a number of acting stints. He did a 10-month stint in St Kitts as the Resident Judge. He also spent over 10 months in St Lucia primarily as a Judge in the Criminal Jurisdiction and sat in the British Virgin Islands, Antigua and Anguilla. Over these various periods, Ramdhani has delivered over 70 written decisions. Ramdhani is also a former Solicitor General of Grenada and the Acting Director of Public Prosecutions. He has worked with the Governments of Grenada, and Turks and Caicos Islands (TCI). In the TCI he was the senior lawyer in the Civil Litigation Department, a prosecutor and lead counsel for the Financial Intelligence Unit. Whilst in the TCI, he provided the legal expertise which led off the investigation and eventual arrest of David Smith of OLINT TCI.